What would people learn about you if they listened only to your voicemails? Rachel A .G. 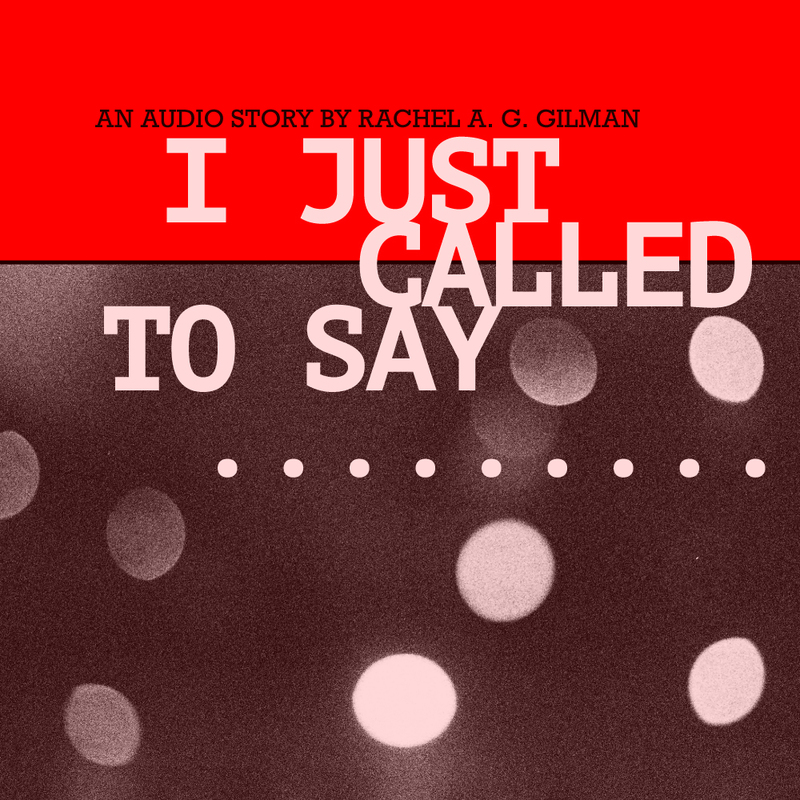 Gilman’s latest audio story is a sound collage consisting of her voicemails. These voicemails, addressed to the artist, show us snippets of the young woman’s life, and, further, help us see patterns that might connect her story to our own. By listening only to the messages left on her voicemail, we get to know the individuals trying to reach our narrator. As a silent narrator, Rachel is the de facto subject of this piece. But through her silence we are able to listen and focus on the callers—they become the centerpiece of the collage. Listening to the piece, one is forced to do some detective work. Some callers freely offer their names and the reason why they are leaving a message. One voicemail tries to schedule a flower delivery. Another seeks to confirm an appointment for Butterscotch, which we assume to be a pet of sorts (What kind of pet would Rachel have?). Other messages take a more serious tone. A deep voice wishes Rachel a “happy, happy, happy, happy birthday. I’m sorry for calling so early. I was actually hoping to get your voicemail.” Another message, one of several from Rachel’s mother, sounds like she’s been crying. Rachel, presumably, goes on to call these people back and have full-fledged conversations with them. Or she doesn’t. We don’t get the full picture here. But voicemail acts as an intermediary between people, a space where intention is key. Voicemail is the purgatory of relationships. The collage seems to end, and then we hear a final message from Rachel’s mother. The message is long, full of loving words, and, unlike all other messages, is played in its entirety without interruption. After a barrage of seemingly unimportant messages, we finally listen to words that we know really matter. Between all the noise, appointments, etc., there are real connections trying to be made. Except, sometimes, the call doesn’t go through, and the caller goes to voicemail. What stays with the listener is the comparison between the many relationships one maintains, whether societal, familial, business-related. There is a fine line between the mundane and the meaningful. Through voice message conventions, we are treated to a condensed exhibit of what it’s like to be busy in 2018. Rachel A. G. Gilman is a former radio journalist and currently works in print media and publishing. See (and listen to) more of her work on her website.